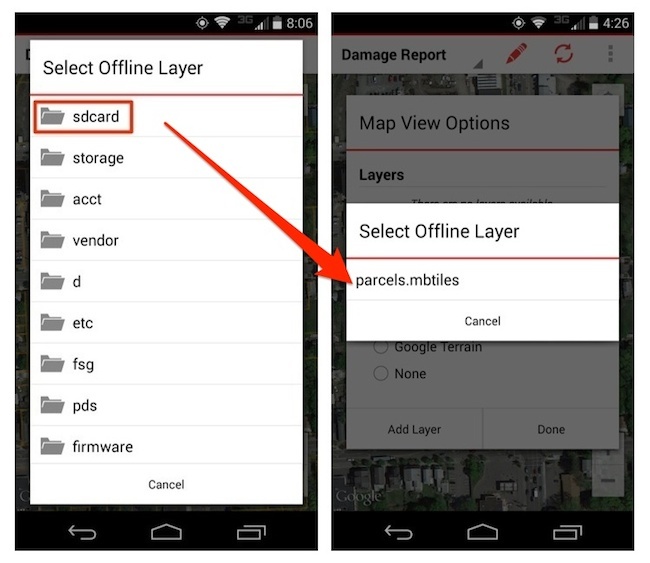 To save time and bandwidth, you can add your offline maps directly to your Android device. 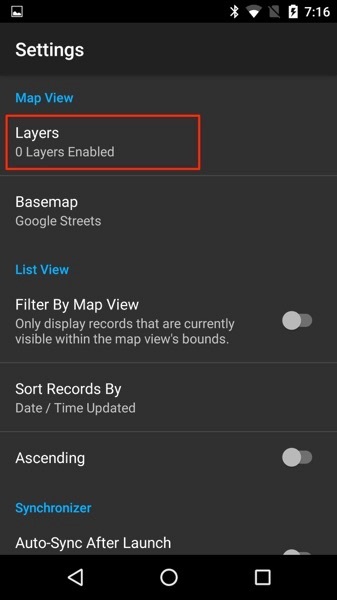 Adding basemaps directly is a great alternative to having to upload maps through the web app and then download them to your device, especially in cases where wifi/network connectivity isn’t reliable. Whether it is a direct transfer from computer to device via USB, or downloading the file from a network location; you can add your custom maps directly to your device. There are several ways to get your MBTiles file to your device. One of the easiest ways is to plug your USB cable into your computer. On the Galaxy Tab tablet used in this tutorial, you need to ‘mount’ the device. 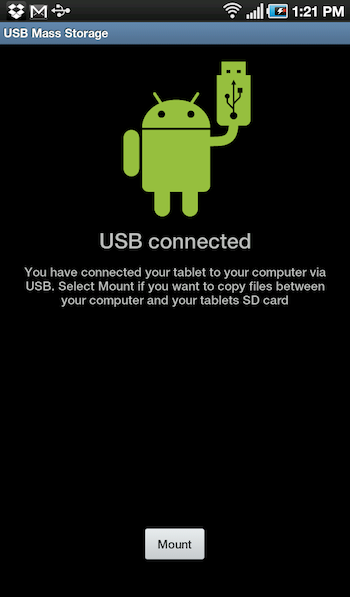 This can be done by pulling down on the status bar and selecting the USB connection. Once the device has been connected, drag and drop or copy/paste your mbtiles file to move it from the computer to your device. After that, be sure to eject the device properly. Now that you have the map loaded onto your device, launch Fulcrum. Select an app, and then tap on the overflow menu icon (three vertical dots) in the top right-hand corner of the screen. Tap ‘Settings’ from the popup menu. Tap the ‘Layers' button to access the layers page. Then tap on the blue plus (+) icon in the lower right corner. Next you will need to navigate through your device’s file system to locate your map. You device may not have the exact folder layout that is displayed below. Note that in order for the file to be listed, it must have the .mbtiles file extension. Tap the filename to add it, and you will be taken back to the Map View Options screen. Your new offline map layer will now be listed. 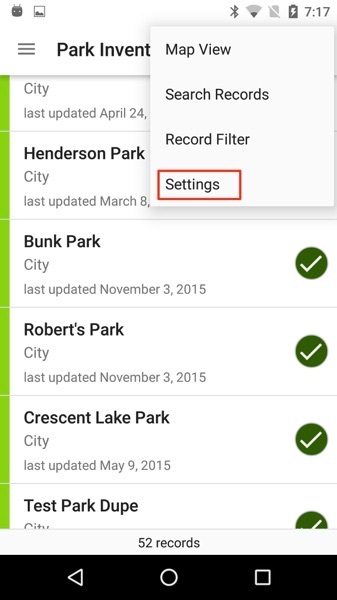 Be sure to select it so that it is active within your data collection app. 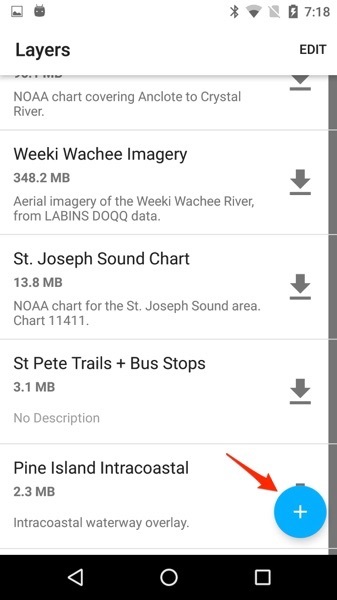 To remove a map added via this method, all you need to do is delete the MBTiles file from your device. Fulcrum will automatically recognize that it is no longer present and will remove it from the list.